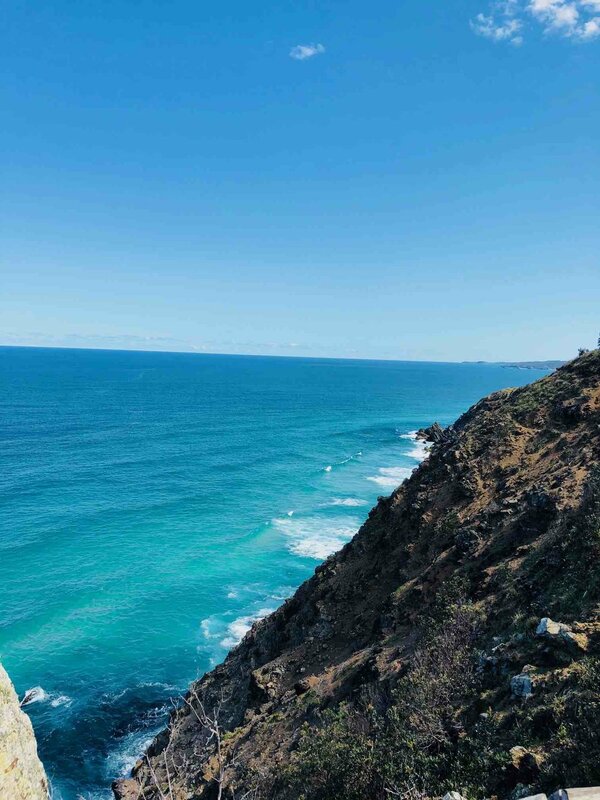 The Byron Bay, Australia Hike You Need to Take — Sapphire & Elm Travel Co.
Byron Bay, a posh surf town in Northern New South Wales, Australia has long been know for it's beautiful beaches and outdoor activities. The town boast 13 unique beaches, multiple hiking trails, world class surf breaks to name a few. From the beach to the hinterland, Byron Bay has plenty of options for outdoor adventures. The one outdoor activity that is a must when in Byron Bay; The Cape Byron Walking Track. If you complete the entire track, it will take you on a 3.7km (2.2 mile) loop. This hike will traverse multiple terrains from the rain forest to the beach up to grassland and clifftops. Although it is not a long walk distance wise, parts of the track will take you on a steep incline that can be challenging at times. The beauty of this trail is that you can pick it up in multiple locations if you feel like you want a more leisurely, less physical walk. To tell the truth, I'm not really a big hiker. That's Stephanie's thing, and she has done some pretty stellar hikes on her travels. I'm here to tell you that this is one hike you won't want to miss. With the insane ocean views and idyllic beaches in between, it doesn't even feel like a hike! Here are the reasons why you need to do the Cape Byron Walking Track. Being on the beach is nice, but getting to see it from up above is a whole different ball game. On this hike you have multiple opportunities to hit different vantage points. Once you hit The Pass, you'll come across Fisherman's Landing. This lookout point is like a tree fort emerging from the sea and will take you high above the pass. From here you can watch sets of waves roll onto the shore and admire hoards of surfers looking for the next wave. The stretch from The Pass to Wategos Beach and Wategos Beach to the Lighthouse will take you up steep hills to trails and landing points perched high above the ocean. Tip: Bring binoculars on your walk. You may be able to catch a glimpse of whales in the ocean below. You can hit Main Beach, Clarkes Beach, The Pass and Wategos Beach all in one day! All these beaches are lovely and with this hike you can get a taste of each one to determine which spot best fits your vibe. That way you can come back for a longer beach day without playing a guessing game. I did take some liberties as Main Beach is not technically part of the loop but it's just a short walk from Clarke's beach so if you're feeling adventurous you can certainly make it part of your day. We actually chose to start at Main Beach and walk to the trail rather than drive to the car park. The Main Beach as the name suggest is a popular beach at the end of Johsnon Street. Above the beach sits a park where people congregate to listen to music. The beach is nice from swimming as it has well marked swimming areas and is patrolled by lifeguards. Clarkes beach is a north-facing beach just a short walk south of the main beach. Clarkes beach is much less crowded than main beach and has calm waters. This is a good spot to relax and take a surf lesson. If you have children it's also ideal for them to swim since the water is much calmer than other beaches. The Pass is know for its world class surf break. The surf here is known for being a longer ride. This is a challenging surf break so it's best to leave that to experienced surfers. There is plenty of sand to stretch out on to watch! This is also where you can pick up dive boats to Julian Rocks Marine Reserve. Around the cove from The Pass, you will come across Wategos Beach. I think this was my personal favorite. It's a gorgeous calm cove and the perfect spot to lay out with a book and dip in the water. The most easterly point on mainland Australia is at Cape Byron. This hiking trail leads directly to the look out point whether you approach it from the Lighthouse or Wategos Beach. It's the perfect reward for making such a steep climb. There are benches to catch your breath if need be or to sit and admire the panoramic view of the Pacific Ocean. How cool is it to say you've stood at the most easterly point on mainland Australia. The Cape Byron Lighthouse is an icon in Byron Bay and a must visit for any trip to Byron Bay. The lighthouse was built at the turn of the 19th century and is still working today. There is a Maritime Museum in the former Lighthouse Keeper’s office at the base of the lighthouse and a few cafes to grab some food or coffee. Not many hikes have stops like this along the way. We know all too well how it goes on vacation. All you health or diet rules are thrown out the window. You eat anything and everything in site. And while you should treat yourself while on vacation, you shouldn't let go of all of your health goals. To combat this, it is nice to stay active on vacation. We're not suggesting waking up before dawn and hitting the gym (unless that's your thing) but this hike is the perfect way to achieve this. If you choose to do the entire loop, there are areas of steep incline and then flat walking trails. It's the perfect balance and a great way to get your heart pumping. It's much easier to "work out" when you have views like this. We walked from Main Beach to get to the trail but if you want to just stick to the loop, there are a couple different parking lots along the track. While the track itself is fee, if you choose to drive there is an $4-8 fee per car depending on the parking lot you choose. The National Park Service does rate this walk as hard so keep that in mind before you set out on the loop. A great time to start the loop is at sunrise. You'll not only get amazing views of the sun rising over the horizon and perfect lighting for your photos but you can also beat the heat and the crowds in the summer. If you choose to do it mid day like I did, just remember to bring plenty of water and sunscreen. 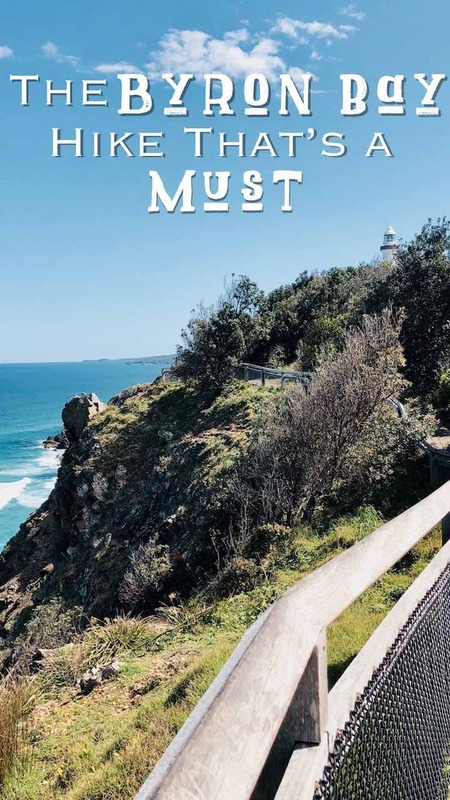 Want more tips for visiting Byron Bay? Contact us to start planning.